Q: Can I take my car to the repair shop of my choice? A: You have the legal right to choose a repair shop to fix your vehicle. When reporting your claim, immediately let your insurer know which shop you’d like to repair your vehicle. Your insurer should not attempt to influence your decision regarding where to have your vehicle repaired and is obligated to cover the reasonable costs of repairing your vehicle to its pre-accident condition no matter where you have repairs made. A: Yes, they have a right to inspect your vehicle, but are not required to do so. If your company chooses to perform an inspection, they can require you to travel a reasonable distance to complete their inspection. However, they cannot require you to drive your vehicle to one of their own “drive-in” claim centers. Rather, an adjuster of the insurance company’s choosing may perform the inspection. A: Your insurance company may require more than one estimate before settling your claim. Multiple estimates help insurers determine the extent of your loss and prevent fraudulent claims. However, if the insurer requests more than two, they must pay for each additional estimate. Also, your insurance company cannot require ‘unreasonable travel’ for you to obtain an estimate or for the company to inspect your vehicle. A: No. The repair shop cannot change the cost of repairs to help you pay your deductible. Misrepresenting the cost of repairs constitutes fraud. A: If parts are being replaced on your damaged vehicle, your insurance company is required to pay for original equipment (OE) parts, unless you agree to aftermarket parts (parts not made by your vehicle’s manufacturer). However, your insurance company is only responsible for restoring your vehicle to the way it was before it was damaged. 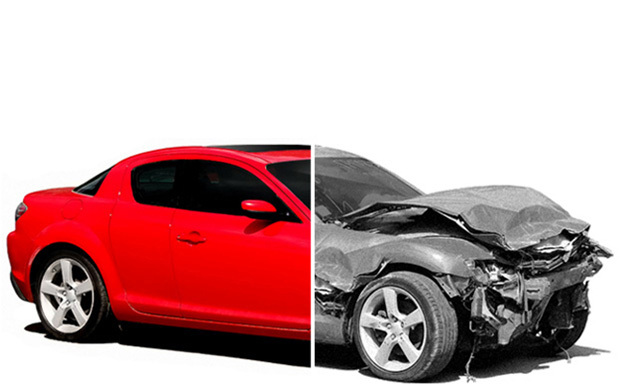 If your vehicle was not new at the time of the loss, the insurer does not have to pay for new OE parts. They must pay for parts of “like kind and quality” (OE parts of comparable age and condition). If you request new OE parts on an older vehicle, you may have to pay the difference. A: Yes. The insurance company is required to return your vehicle to the condition it was in before it was damaged. The company can either pay all costs to satisfactorily repair your vehicle, including all obvious and hidden damage, or they may offer a cash settlement to pay for the satisfactory repair of your vehicle. Q: What do I do if the company gives me a ‘comparative negligence’ assignment? A: Insurance companies are required to conduct a reasonable investigation and offer a fair settlement once liability has become reasonably clear. If you are making a claim for recovery from the other driver’s insurance company, your settlement may be reduced if the investigation determines that you are even partially responsible for the accident. If the facts of the case seem clear and you believe the other party’s carrier made an “unreasonable” determination of comparative negligence, you may complain to the Department of Commerce. You may also take the driver of the other car to Conciliation Court if the amount of your claim is below the Court’s dollar ceiling. Note: Minnesota law does not allow insurers to automatically assign a percentage of negligence simply because you were involved in the accident. A: Many people misunderstand Minnesota’s no-fault law. No-fault provisions relate only to medical loss, work loss, or loss of essential services and are only available from your own insurance company. The No-Fault law is not related to physical damage to your vehicle. • You were responsible for the accident, you would not be entitled to reimbursement under your policy. • If you do not want to file a claim with your own insurance company and the other driver was liable for the accident, you have the right to seek reimbursement from the other driver’s insurance company. Q: How is the ‘fair market value’ of my totaled vehicle determined? A: When an insurance company ‘totals’ your car, the company must pay you what the car was worth before the accident occurred. This amount is called the “fair market value,” and includes adjustments for the vehicle’s features, mileage and prior damage. There are several firms that evaluate and publish automobile market values (like the well-known Kelly Blue Book) and the results can vary. Whether the insurance company uses one of these evaluation firms or does its own evaluation, the method the company uses must be documented and must comply with the procedures described in the Minnesota Fair Claim Settlement Act. You can ask to see the evaluation and ask how the fair market value was determined. If this information is not provided at your request, or if you believe it does not comply with Minnesota law, you should make a complaint to the Department of Commerce. You should check with dealers, newspaper ads, used vehicle publications, and other sources to gather your own information on your vehicle’s fair market value to compare with the value provided by the insurance company. You have the right to negotiate with the company if you believe your car was worth more than what they offer. A: Maybe. Once the insurance company has paid you the fair market value for your vehicle, the company owns the vehicle. Accordingly, the company can decide whether to sell the car back to you or retain it for its own use. Technically, if the company does sell it back to you, it can determine the price. A: There are varying opinions on this. Some people feel that if they file a claim with their own insurance company, even though they believe the other party is at fault, the claim will be settled quicker than if they deal with the other party’s insurer. In reality, it may not work that way. If you file the claim with your own company, and the facts indicate the other party was most or completely at fault, your insurer may “subrogate” the claim with the other party’s insurance company to reimburse itself for the amount it paid to you for your claim. The downside to this is that there is no requirement, either by law or in your policy, that your insurance company must subrogate your claim. If your company decides not to subrogate the claim, it may be able to surcharge your policy for the amount it paid out to you. There is also no required time frame for the subrogated claims process, so it may take months for your insurance company to get reimbursed and to return your deductible to you. insurance company paid the claim or reimbursed your company for 80 percent or more of the costs for repairing your vehicle. A: First, find out whether the company has an appeals process or an arbitration process. If they use arbitration, ask whether the process is “binding arbitration,” (which means the arbiter’s decision is final) or non-binding (meaning you can still take the insurance company to court if you are unsatisfied with the decision). Depending on the amount of money in dispute, you can seek relief through Conciliation or District Court. Call the Department of Commerce, Consumer Response Team for advice or assistance with your claim. party (called the “umpire”) makes the final determination. or more of the parties in an accident. Commerce, which responds to consumers questions and complaints about insurance matters. to injuries sustained in the accident. repairs and administer claims under terms established by an insurance company. individual for a claim it ahs already paid. additional charge added to your premium for accumulated traffic violations or accidents. periods, such as 36 months from the date of the violation or accident.